Come and visit the Land that God calls "My Land". 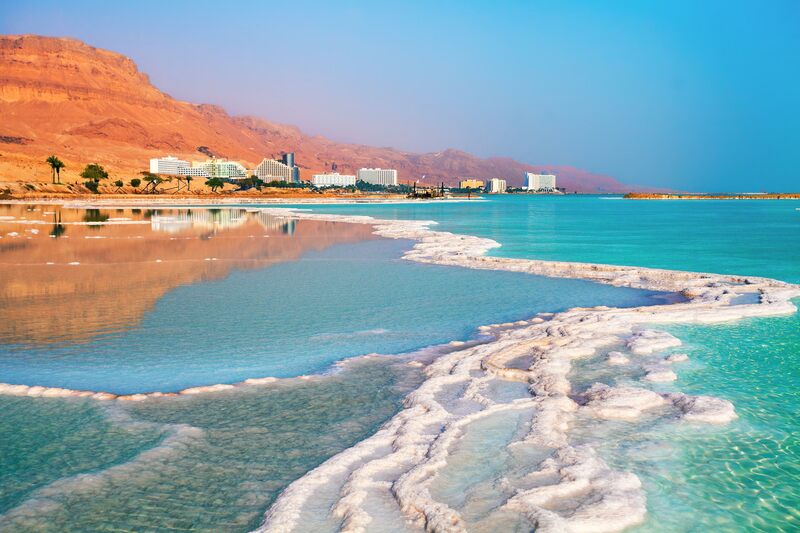 Our tours of Israel certainly can be a life-changing event as you see and study the events and sites where it all happened according to the scriptures. You will get to know first-hand the places enumerated on the pages of the Bible. We will stroll where Jesus and his disciples walked and performed the miracles that you've heard since you were a child. This trip will definitely change the way that you look at the Bible. Every time that you open your Bible after you've been to the authentic sites you will seethe stories more vividly than you could ever have imagined. And you will be opening it even more than you ever did before. "I'll never be the same again!" That's what I keep hearing from those who have been with me in Israel. I know it's true! Since 1972 when I first stepped on the soil of Israel, my own life has been irrevocably changed for the better and that's why I keep going back. Although I've been a career Marine and a college coach...my true calling is a TEACHER. There is no greater classroom for me than the open-air classroom of the Land of ISRAEL. Soon I will again be leading a relatively small group on a study tour of Israel. The classroom of the land of the Bible and the same place where Abraham, Isaac, Jacob, the Prophets, King David and Jesus all lived, transformed hearts and heads and changed the world. I have been in Israel nearly four score times (check your Gettysburg address) and it is the joy of my life to introduce His Land and His People to you. 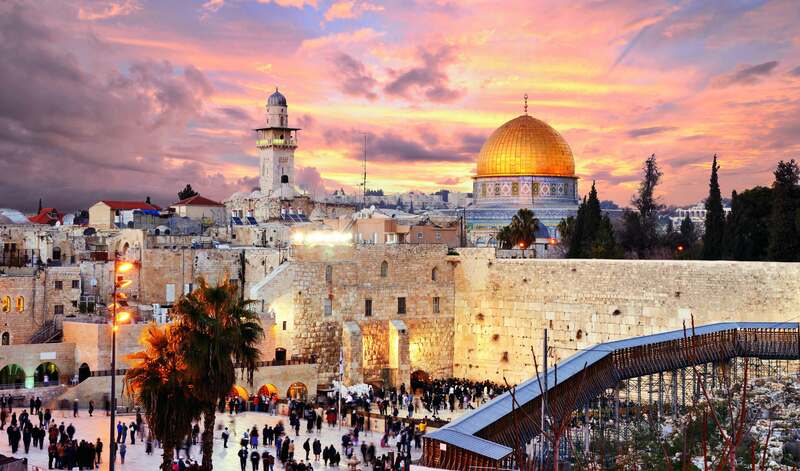 Please seriously consider joining us on this trip of a lifetime as we study and consider the Biblical events that happened there starting more than 3,500 years ago! We will stand on the places where Jesus stood and visit the places where He healed the sick, taught the multitudes, died on the Cross - and arose 2,000 years ago! This trip is much more than simply a vacation. As a matter of fact it is not a vacation. You can do that anywhere. This is an opportunity to see the people, places, and events of the Bible come alive before your very eyes . Truly it is an opportunity to never be the same again! I look forward to being with you in the stillness of the Garden Tomb and on the side of the Mount of Olives. I am eager to take you to Gethsemane, and I can only imagine the feelings you will have as you touch the Sea of Galilee and hear the waves gently meeting the shore. You'll be surprised at how affordable the tour really is. So please circle your calendar for the following dates… and then make your plans to join us! Dr. David Simmons has been a minister for over 38 years of was the National Cowboy Church Coordinator for CUFI. Now he is Co-Director and Vice President of “Zion’s Watchmen” advocates for a strong Israel/USA relationship. David has ministry offices in North and West Africa and travels extensively in the part of the world being affected by the events in the Middle East. He is passionate about our need to be educated and to stand for and side by side with Israel. Colonel Somerville retired from the U.S. Marine Corps after 30 years, having served in Viet Nam, Somalia, Okinawa, Honduras, Turkey, Egypt, Korea (and the most dangerous of all) Washington, DC. His final 10 years in the Corps were in the Intelligence field with an emphasis on the Middle East. John first went to the Middle East in the early 70s and has made more than 70 trips there in the ensuing years. 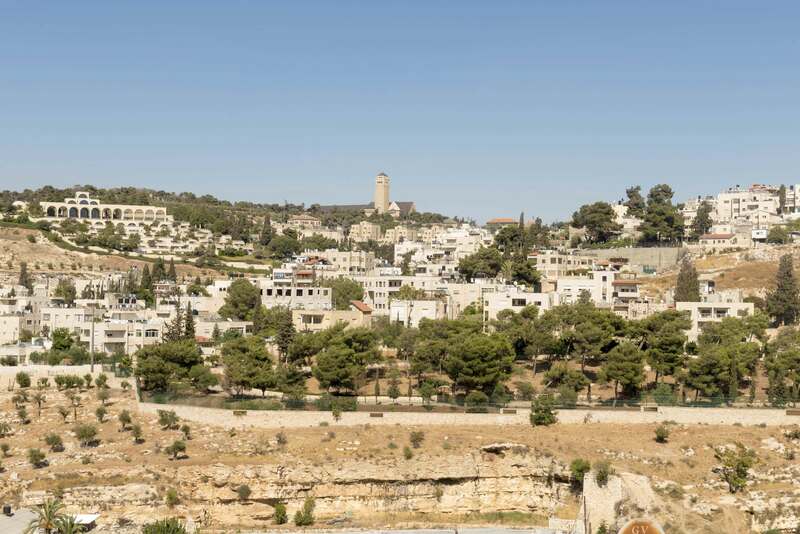 His interest in the Land of the Bible and archaeology has enabled him to teach and guide dozens of small groups throughout the land of Israel. In 2005 and again in 2012 he was honored with the prestigious “Friend of Israel” award. Somerville earned a Ph.D. from Ohio State University. He has taught and coached at Princeton University, East Carolina, Georgetown College, and Ohio State. John and Mary live on a ranch in North Fork, California and have six children and too many grandchildren to count. John and Mary founded Zion’s Watchmen incorporated it as a 501 (c)3 Ministry in Texas. 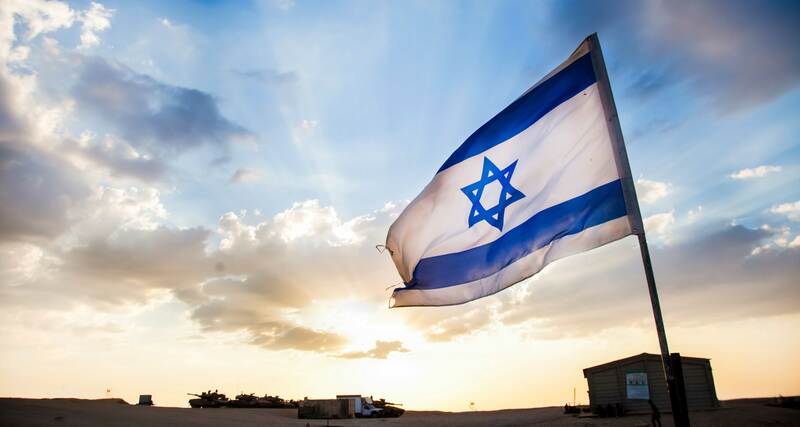 Zion’s Watchmen is committed to the biblical mandate to bless, speak out and stand with Israel and the Jewish people. Previously, for six years John was the Central States Coordinator for Christians United For Israel (CUFI).